Below, you will find the patch notes for Title Update 4, which will be available on May 17 at approximately 9AM UTC for PC, and May 18 at approximately 9AM UTC for consoles. Similar to previous updates, TU4 will include a brief maintenance period to update servers for the new version. The patch will be up to 7.2 GB PC depending on your client, and up to 9.0 GB on consoles, depending on your installed version; again, an in-game notification will alert players to the availability of the update. A game reboot will be required to apply the patch, and players will need to have the same version of the game in order to play co-op. Title Update 4 draws much of its focus from player feedback, including several quality of life changes for co-op and solo play and a suite of new HUD and UI options. Co-op players will be able to alert their squad mates when dying, and tagged resource crates will be granted to every teammate in the collecting player’s zone. 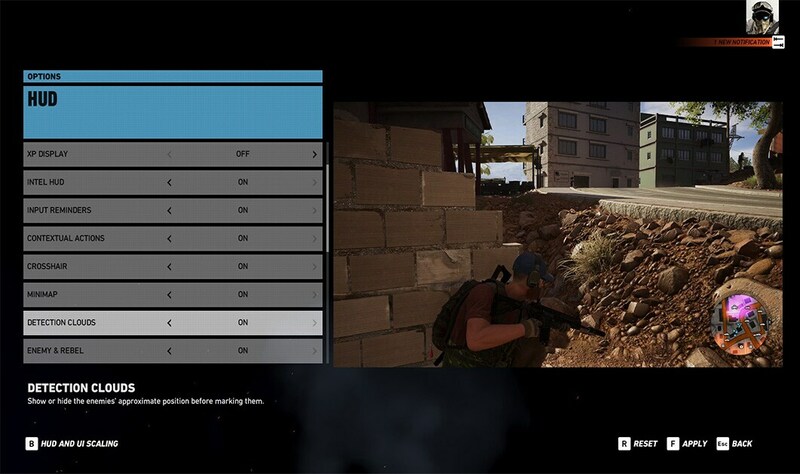 Downed players will redeploy at the mission starting point, rather than at a random location in the world, and there is now a brief window of time to take down an alerted enemy before a stealth mission is failed. Title Update 4 will also usher in season two of the Live Season Challenges, with a new focus, new challenges, and new rewards! Additionally, Challenges will now include some additional gameplay parameters such as difficulty or HUD settings. You can follow along with the new episodes at the Ghost Recon Network. A new round of improvements and bug-fixes will be implemented with this patch. For example, the introductory Kingslayer video no longer triggers upon launch, and full magazines are no longer consumed when a suppressor is applied to a weapon in the gunsmith menu. Finally, Title Update 4 paves the way for the upcoming Fallen Ghosts DLC, first announced here. Stay on the lookout for more intel about Fallen Ghosts, coming soon. You can follow along with which issues are currently being investigated on our official forums’ Known Issues list. 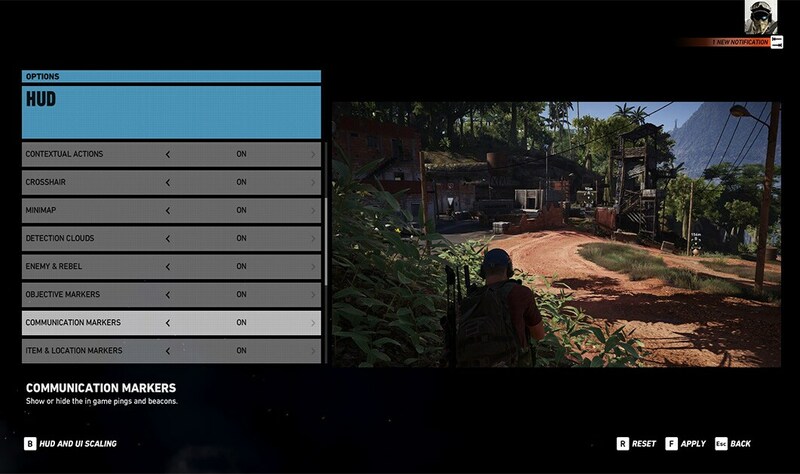 -The “Markers” HUD option has been split into six distinct types of markers, each of which can be toggled on or off—"Objective markers", "communication markers" "enemy/rebels markers" "Item & location markers" "sync shot" "alert markers"
Additionally, deactivating the Sync Shot HUD markers will no longer prevent your AI teammates from using the Sync Shot ability! These improvements, and more, are listed below. 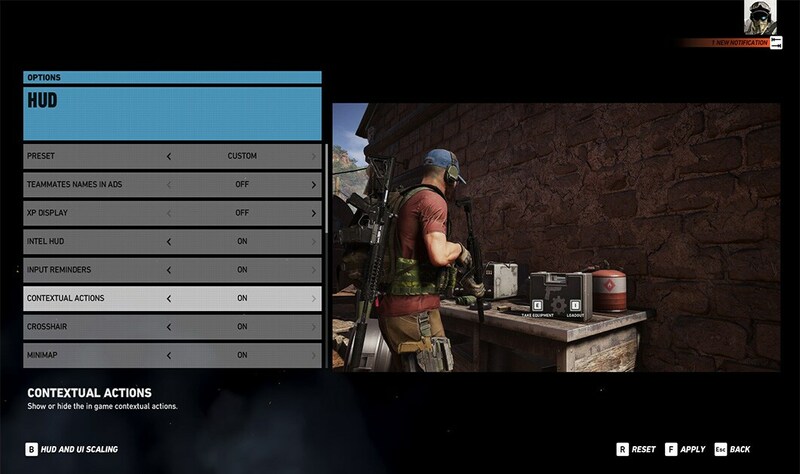 -"Input reminders" was split into "Input reminders" and "contextual actions"
-"Markers" was split into "Objective markers," "communication markers," "enemy/rebels markers," "Item & location markers," "sync shot," and "alert markers"
We are grateful for your continued passion for Ghost Recon Wildlands. The development team will continue working on the game to bring you more updates in the future. For more intel on Tom Clancy’s Ghost Recon Wildlands, please keep an eye on ghostrecon.com and be sure to visit our official forums as well as the subreddit. To keep track of your stats and find other Ghosts to join your Taskforce, log-in to the Ghost Recon Network and download the Ghost Recon HQ App (iOS - Android).